Senior government officials scrambled to piece together facts and “debunk” an embarrassing narrative last February immediately after news broke that a would-be assassin had been invited to exclusive event on Prime Minister Justin Trudeau's official visit to India. Senior government officials scrambled to piece together facts and "debunk" an embarrassing narrative last February immediately after news broke that a would-be assassin had been invited to an exclusive event during Prime Minister Justin Trudeau's official visit to India. New documents obtained by CBC News through Access to Information show Canadian officials struggling to work out how Jaspal Atwal had been invited to a dinner hosted by Canada's high commissioner to India — while pushing back on a media report suggesting they'd known about the invitation from the beginning. Atwal, a former member of an illegal Sikh separatist group, was convicted in 1986 of trying to kill an Indian cabinet minister visiting British Columbia. 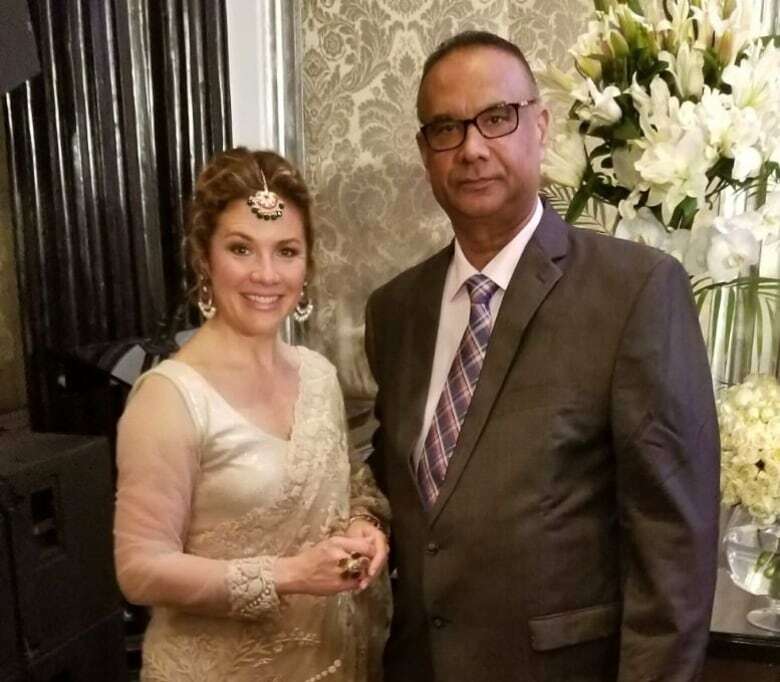 His participation in a tour event led to the most durable symbol of Trudeau's troubled India trip: a photo of Atwal with the prime minister's wife, Sophie-Gregoire Trudeau, at a separate tour event. Atwal's presence, and the security questions it raised, served up the crowning embarrassment of Trudeau's trip to India. 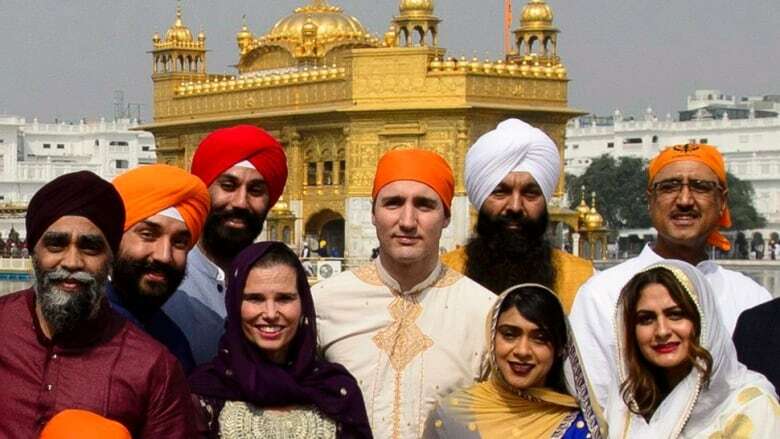 The prime minister also was repeatedly criticized during the trip for wearing traditional Indian clothing to official functions. His efforts to convince the Indian government to lift tariffs on Canadian peas, beans and chick peas failed. Most of the emails are heavily redacted. The National Security and Intelligence Committee of Parliamentarians is releasing its own report this afternoon on the national security implications of the India trip. CBC News first disclosed Atwal's presence at a tour event in a news story on Feb. 21, kicking off a flurry of emails between some of Trudeau's most senior bureaucrats in charge of the defence and national security files. An email sent the day the CBC story was released makes it clear the top brass did not know who had invited Atwal. "The individual was apparently placed on the guest list by a Minister — not known which," said the email from David Angell, assistant secretary to cabinet on foreign and defence policy. In fact, MP Randeep Sarai — one of the 14 Liberal MPs travelling with the PM in India — admitted to adding Atwal's name to the guest list. Later that same day, Daniel Jean — the prime minister's national security adviser at the time — writes in an internal email: "It is not realistic to screen all guests on all reception lists and we had no info until this AM suggesting that a potential guest may be problematic." On Feb. 23, the Vancouver Sun published a story claiming the Canadian Security Intelligence Service had been informed of Atwal's participation in an official tour event on Feb. 17. That story touched off another flurry of emails at high levels of the Trudeau government. In an email chain under the subject line 'can we debunk', Jean, Angell, Assistant Secretary to Cabinet (Security and Intelligence) Caroline Xavier and unnamed federal officials tried gamely to get ahead of the story and squelch the suggestion that the government had been warned about Atwal. "Can we confirm the HC (high commission) did not receive this," says one email sent to Jean at 8:30 am on Feb. 23. "On the phone with the plane and they want to know." Jean's reply, sent just five minutes later, is blacked out entirely. Jean then writes to Angell: "Can you confirm with mission that no such information in advance was received? ... Have covered with most media on background that all these variances have proven false so far but someone continues to try and feed this information." Just 30 minutes later, Jean sent another email to an undisclosed recipient asking what information the mission in New Delhi had received about Atwal's presence. "Info from CSIS, info from RCMP or info from private citizens? Why did they not raise with us before issue of invitation came up?" On Feb. 22 and 23, in background briefings given to reporters, Jean offered up a theory: that rogue factions within the Indian government had arranged for Atwal's attendance in order to embarrass Trudeau and sabotage the trip. In April, Jean told a Commons committee that he conducted those briefings to counter what he described as a "false narrative" and "coordinated misinformation" about Trudeau's trip. Jean retired from the public service in late April.